homemade soups and salad dressings. We offer foods with limited preservatives. Our chefs are always working to create new delicious, fresh and trendy items to introduce to the menu! Each month, the lunch menu will be posted on the Oakridge website as well as the Food 4 Life website at www.food4lifecaterer.com for review. Each day, students and staff will have several choices, including a hot plate lunch that is a well-balanced offering of protein, vegetables, starch and dessert. Chef specials, which include our most popular fresh burger bar, wing bar, brisket bar and other great, on trend, type items. We offer daily a la carte items including sandwiches and wraps, baked potatoes, and daily specials such as pizza, pot stickers, edamame and homemade hummus, to name a few. 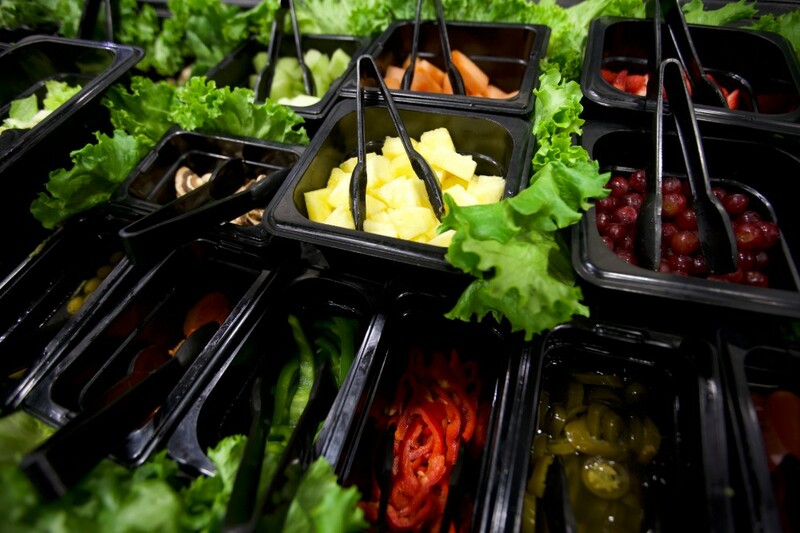 We also offer a full salad bar that includes roasted meats, fresh vegetables and fruits, and daily specialty salads. We are aware of food allergies and dietary concerns. We offer daily vegetarian options and anything made with any type of nut is clearly marked. We always strive for the best ingredients and choices for the students and staff of The Oakridge School. Students will be able to pay for their meals with cash or through a lunch account. Food 4 Life uses DRX Software for managing all lunch accounts. New students must open an account with a check or cash, child's name, parent name and email address. Once an account has been set up, parents will receive an email with registration key and instructions for managing their child's account. With this system, parents are able to put restrictions on what foods their child may purchase, view what their child is eating, and set up an automated credit or debit card deduction to add money to the account. Parents receive automated emails when their child's account balance reaches $15 or less. you are a returning parent/student you can use the same username and password as you had last year. Please make sure parent information is correct and current credit card is set up. It is an honor to serve the students at The Oakridge School. We encourage everyone to try our great food. We would love parents to come eat with their children and enjoy our food also! To learn more about Food 4 Life, visit www.food4lifecaterer.com. If you have any questions or feedback, please email jill@food4lifecaterer.com.